Page 2- Free effective software solutions. To add a little winter magic feeling on your Desktop is DesktopSnowOK the right program. 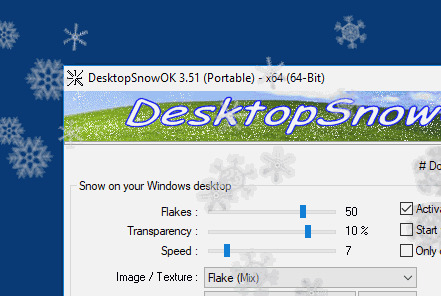 "DesktopSnowOK" is a lightweight portable Windows program for 5 or more snow flakes on your windows desktop. All programs listed here are my own work and free for all users without restriction! This is not a Software Archive (: would be too small :). Regular improvements and updates for personal requirements and feedback of users. 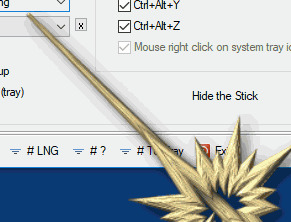 PointerStick is a portable tool that presents on the Windows Desktop a virtual pointer stick, for example for Presentations to highlight the current mouse position and the emphasis on presenting will be better. 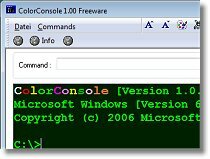 ColorConsole brings a little color to your black and white world of Windows console . With changeable font style and color . One can save many hand moves and also time! An installation of ColorConsole is not required. 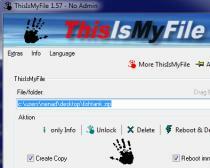 ThisIsMyFile is a small and effective program for unlocking and/or deleting locked or protected files. 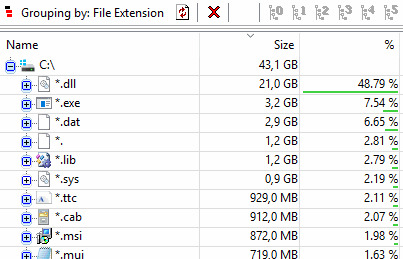 Installation is not required, simply place the ThisIsMyFile on the desktop and drop files on the ThisIsMyFile program icon. 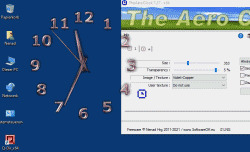 "The Aero Clock" is a simple but at the same time beautiful desktop clock. This Windows program can be used as a portable avert. This very decorative desktop clock shows the local time at the Desktopt. MeinPlatz "My-Place" offers an easy and fast way to scan the hard disk for lost disk space. With analysis on a percentage basis and grouping by folders, file types, size or date. It has also a nice print and export function.